Jess Kimball Thrillers – Special Sale Celebrates Women March 5 – 8! Strong Women Need Your Vote! 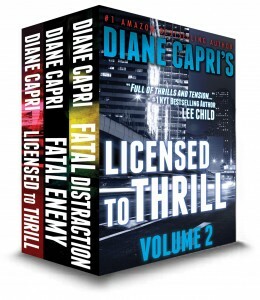 With this Special Sale on Licensed to Thrill: Volume 2! In honor of strong women everywhere, (too many to count are right here in our reading audience and we couldn’t be more grateful to all of you!) we are thrilled to announce my publishers have teamed up with BookBub.com and Amazon to offer two Jess Kimball thrillers and a FREE BONUS at one great price! On sale! $1.99 March 5 – 8 only! Open this boxed set containing the first two Jess Kimball investigations and you’ll agree. More than 35 5-star reader reviews sat Jess Kimball is determined, relentless, principled and a hero you’ll love! 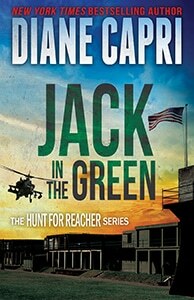 Jess Kimball is the strong woman hero’s Jack Reacher – but nicer! Grab your copy of Licensed to Thrill: Volume 2 The Jess Kimball Thrillers. Then vote for U.S. Military Spouse of the year and check out the International Womens’ Day events around the world! Amazon.com: Jess Kimball Thriller Special! Amazon.co.UK: Jess Kimball Thriller Special! Folks, if you’re new here, you may not know that Readers are #1 with me! I love to hear from you! I see everything you send to me and reply as soon as I can. No exceptions! If I don’t respond to your e-mail within 10 days, let me hear about it! p.p.s. Looking for tree books? Our new paperback publishing partner, Stonehouse Ink, has done a fantastic job with all 7 of my novels, now available from Amazon. Also, if you have new e-readers or friends with e-readers other than Kindle, all of my books are now available on KOBO, Nook, and yes — iTunes! Why Does Jack Reacher Kill? What Say You? 2 Great Thrillers and 1 Bonus Set! Special Sale Price! 4 Responses to Jess Kimball Thrillers – Special Sale Celebrates Women March 5 – 8! What a fabulous way to recognize International Women’s Day! Jess Kimball grabbed my attention right from the beginning of the series. Her story is empowering so she’s a great role model to celebrate. I’m off to download! Thanks, Patricia! These are both worthy reasons to celebrate! Picked up the set just a few minutes ago, Diane.